Brideview Drama Group - Tallow, Co. Waterford, Ireland. 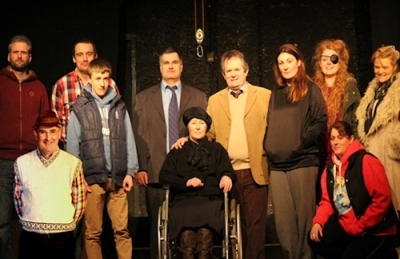 Brideview Drama is an amateur drama group based in Tallow, County Waterford. The club was founded in 1989 and has since flourished, winning the 3-Act confined all-ireland final in 2005 with 'Moonshine' by Jim Nolan. Brideview Drama compete annually in the 3-Act Festival Circuit in the open section. If anybody would like to get involved in the group in any way or if anybody would like information on our latest productions etc, don't hesitate to contact us.